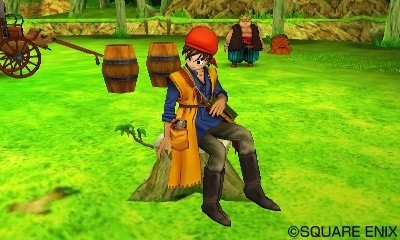 A remake of Dragon Quest VIII was revealed to be in the works by Square Enix back in March, and now they’ve given us a glimpse into what the Nintendo 3DS remake looks like. 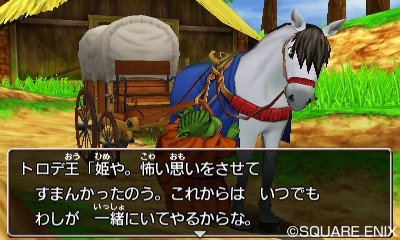 Dragon Quest VIII screenshots gives us a first glimpse at a remade classic RPG. 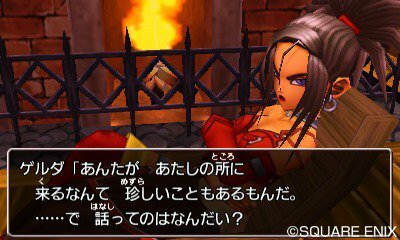 The actual game itself isn’t a remaster per se, and just a remake. 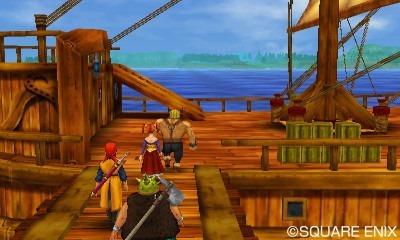 The visuals and story are based entirely on the PS2 version of the game, due largely to the similarities in computing power between the PS2 and the 3DS. 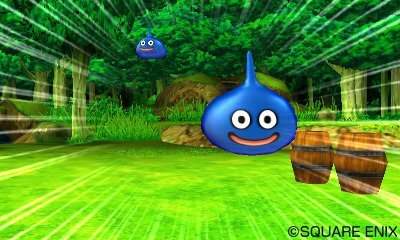 Some key differences do exist that set the 3DS version of Dragon Quest VIII, however. Notably is the orchestration of the soundtrack entirely by the Tokyo Symphonic Orchestra. The soundtrack was already very well done in the original, being composed by the talented Koichi Sugiyama. 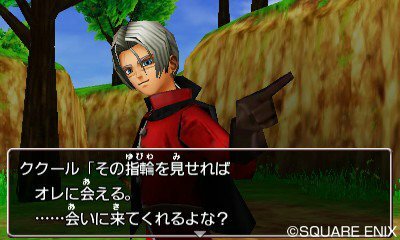 Two previously non-playable characters are now playable, Red and Morrie, so that means new additions to the story and new quests will be added. 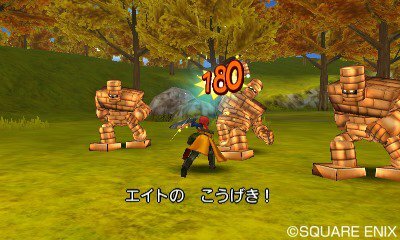 Also because Dragon Quest VIII was the first of the series to receive actual voice-acted scenes, the entire game will be updated with voice-acted scenes for all the events. 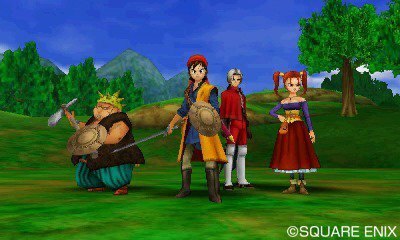 Dragon Quest VIII was originally released in 2004 on the PS2, then remade for Android and iOS in 2013. 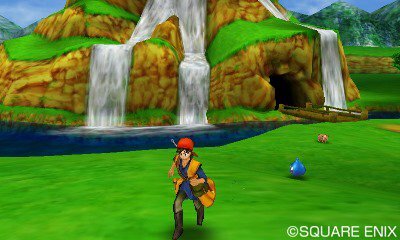 Now it’s getting a complete remake with some great additions to be released on the Nintendo 3DS on August 27th 2015 in Japan. 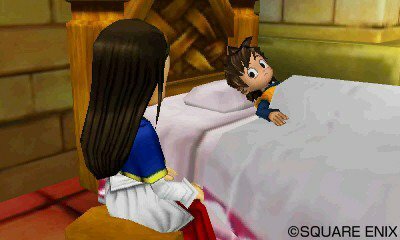 There’s no word on whether we’ll see the remade Dragon Quest VIII in North America or Europe, though since the original sold fairly well in North America, it wouldn’t be far fetched to think that it could make it eventually to the rest of the world. 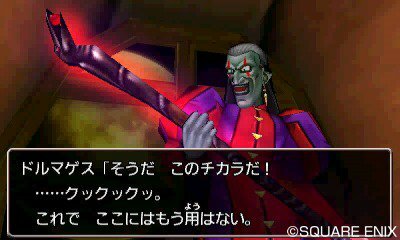 In fact, some reviewers rather enjoyed the English language localization, as it added quite a bit of character and humor to it.